It is true that swimming is a favorite, relaxing and fun outdoor, or indoor activity. It is also true that it can be dangerous if safety requirements are not met. True yet again is the fact that May and June are the most dangerous months for swimming or boating. Many things contribute to these statistics. -The excitement of opening the pool at the first sign of spring/summer may cause some to overlook key safety measures. -The fact that the majority of swimmers have taken the winter off, which usually deteriorates their skill set, while increasing their courage or excitability. -Pool safety equipment may be broken or failing. -Parents or caregivers may be relaxed or distracted, which surprisingly is the leading cause of dangerous water-related incidents. Unfortunately, the above mentioned items can quickly become dangerous. Please take a moment to review some of the necessary steps to having a safe and fun swimming season. -Make sure children and special needs individuals are monitored at all times. -Hold a swimming safety conference before swimmers enter your pool. -Post your pool rules and safety requirements. -Have a phone by the pool, not for games and talking, just for safety. -Make sure all persons, adults included, know how to swim. 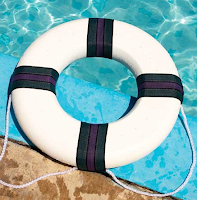 -Have floatation devices, safety ring and pole available in case of emergency. -Provide swim floats and life vests for inexperienced swimmers. -Take a CPR class and understand the basics of life-saving class. -Install a fence, at least four feet or higher, around any pool or spa. Make sure it has safety latches. -Ask neighbors who don't have a fence to install one. Offer to cover some of the cost. -Purchase and install pool alarms on all entrances into the yard, as well as the pool area. -Utilize a surface wave pool alarm to sense water movement. -Make sure all pool and spa covers are in safe working order. -Ensure the pool or spa have proper compliant drain covers with stainless screws to prevent corrosion. -Install a safety vacuum release system. This fits into the pool pump and recognizes pressure changes. -Teach children to stay away for drains and all pool related equipment. There are many pool safety videos online, on Youtube and even at your local library. Check out a variety of books to accompany your family safety lesson. Invite friends and neighbors who may not share the same views on safety; have pizza and make it an evening. After all safety requirements are met; have a pool-safety graduation party. Then, be prepared to stay attentive. Lastly, enjoy your investment by knowing you've maintained, trained and prepared your pool and its swimmers properly.